With mainstream consumer demand for high-quality audio experiences growing, consumers expect Bluetooth audio devices to create an immersive and uninterrupted listening experience. However, Bluetooth audio designs are often limited by the bit depth and frequency rate of existing codecs, which are the communication and compression technology used to send audio over the air. 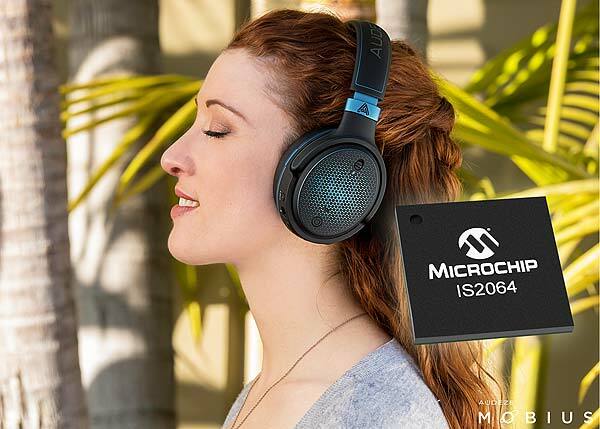 Now designers of audio systems have a fully-certified, Bluetooth 5-compliant System-on-Chip (SoC) with Sony’s LDAC audio codec technology* in the IS2064GM-0L3 from Microchip Technology Inc. The SoC allows manufacturers to develop a new generation of audio devices with an advanced codec, extending high-resolution audio beyond audiophiles and into mass market Bluetooth wireless products. Upscale headphone manufacturer, Audeze, has implemented the SoC into their high-end Mobius gaming headphone. For more information on the SoC visit: http://www.microchip.com/IS2064. The Audeze Mobius headphone utilizes Microchip’s IS2064GM-0L3 SoC for the Bluetooth wireless connection supporting LDAC and other audio codec interfaces. Sony’s LDAC is considered the highest-quality audio codec available. It transmits up to 990 kbps data throughput, which is three times higher than the standard Bluetooth Sub-band Codec (SBC), and maintains frequency and bit depth of up to 96 kHz/24-bit. The high compression and reproduction efficiency enables high-resolution audio listening experiences for Bluetooth audio devices. 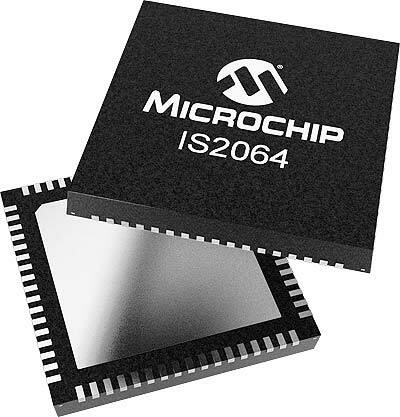 The IS2064GM-0L3 SoC not only makes the LDAC codec available to the broader market of audio product vendors, it also allows customers to utilize Microchip’s outstanding global technical support and comprehensive development environment to assist customers with implementation and getting to market faster. The LDAC codec is also integrated into the Android 8.0 Oreo™ operating system Bluetooth stack, making the LDAC technology more widely available on the transmit side. The IS2064GM-0L3 comes in an 8 x 8 mm LGA package and is available for volume production starting at $4.90 each in 10,000-unit quantities. Please contact Sony for additional licensing requirements when using LDAC technology: www.sony.net/Products/LDAC/index.html. For additional information, contact any Microchip sales representative, visit Microchip’s website or send an email to BTAudio@microchip.com. To learn more about Microchip’s complete line of Bluetooth audio products, visit Microchip’s Bluetooth Audio Design Center.